When tiling a wall or floor it’s important to ensure your backgrounds are strong and stable to support your weight of tile. 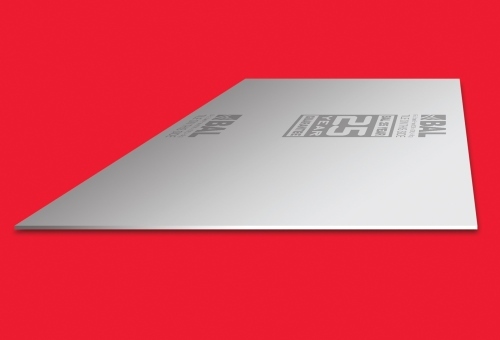 One way of providing a safe and secure base is with the use of a tile backer board such as BAL Board – a new BBA-approved magnesium oxide board for internal tiling. Easily fixed to either stud work, solid walls or floors, BAL Board can support a combined tile weight of up to 100kg/m2. This far exceeds the recommended tiling weight for plasterboard (32kg/m2), gypsum plaster (20kg/m2), wood base sheets (up to 30kg/m2) and foam-core tile backing board (up to 60kg/m2). This means that with BAL Board you can install heavier tiles. Many tile backer boards on the market are also suitable for use in wet areas. BAL Board for example is moisture and water resistant, meaning it won’t warp, rot or degrade over time even in the wettest conditions. Despite being water resistant, it is still recommended to tank water resistant boards with a waterproofing kit before tiling especially in installations such as showers, wet rooms or swimming pool surrounds. As well as water resistance, BAL Board is also mould resistant, and because it is thermally resistantit provides a high-level tolerance during hot and cold cycles and is suitable for use with underfloor heating. Unlike alternative cement-based boards, BAL Board is also extremely lightweight – in fact it is up to 35% lighter per m2 than cement-based boards. combining the lighter weight and the standard 1200mm x 600mm measurements, tile fixers can now transport and carry more boards in one trip, producing a number of savings, not least time. What’s more, unlike leading cement-based boards, BAL Board is even easier to install – as there are no specialist cutting tools required. All you need is a simple craft or utility knife to score and snap – it’s that easy! Plus, with no specialist screws required namely standard stainless steel or hot-dipped galvanised screws only for studwork; the ancillary costs start to be reduced. And because it’s available in 1200mm x 600mm and fixed at British Standard recommended 300mm centres, this means less waste for fixers. Some cement-based backer boards are recommended to be cut outside or use breathing protection to prevent harmful dust from being ingested. This is thankfully not the case with new BAL Board as there is minimal dust created when cutting, and it won’t cause harm to the person or environment. Always refer to the BAL board technical data sheet for additional advice. What’s more the cold fusion, low carbon manufacturing process significantly reduces the CO2 output compared to other manufacturers processes. Thanks to its environmental characteristics and build performance BAL Board comes with BBA Approval – this means it has been rigorously tested and certified as an “outstanding construction product”. Tile fixers gave the BAL Board the thumbs up in pre-launch trials. Contractors and tilers rated BAL Board as far superior to the nearest equivalent leading cement-based boards in trials. For example, 100% of all fixers trialled preferred BAL Board over equivalent cement-based boards, as well as scoring “excellent” overall, compared to “poor” for the leading cement-based board (scores based on ease of handling, cutting, application, stability and installation speed). Because BAL Board is fully tested and approved by the BBA and manufactured according to ISO 9001 for quality control, it comes with BAL’s leading 25-year written guarantee (when correctly installed and used in suitable applications). This means that BAL Board will not let you down, and ensure your tiling lasts the test of time.